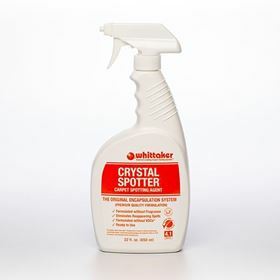 CRYSTAL SPOTTER® spotting agent is based on the CRYSTAL DRY® carpet cleaning agent formula in a convenient, ready-to-use package, with 22 oz trigger bottles for simple and safe use on general spot cleaning. 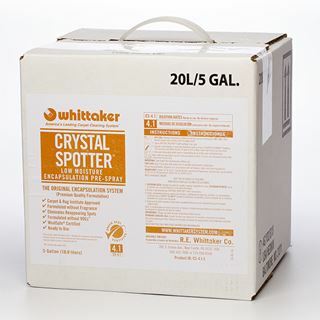 Simply spray on a spot and agitate with the Whittaker CARPET ROAMER® Spotting Tool. 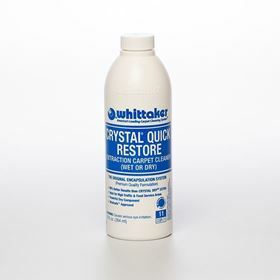 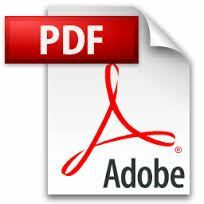 After it dries and encapsulates the soil material, it may be vacuumed immediately or at the next scheduled vacuum cycle. 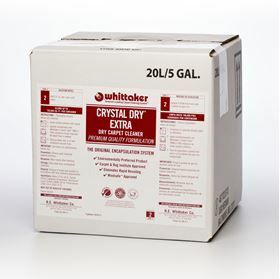 CRYSTAL SPOTTER ® has received the Seal of Approval from the Carpet & Rug Institute.